Opening a brick and mortar store in 2016 was a dream! That dream came true and we had a blast. 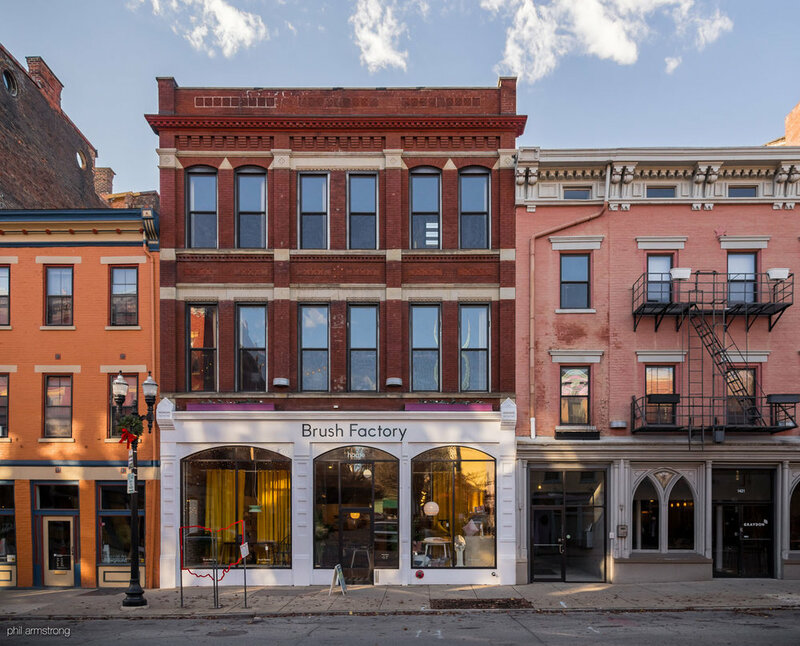 We had some parties, got to know our neighbors, hosted workshops and sold lots of beautiful home goods and enjoyed being a part of the Over the Rhine retail landscape. For the next step in our journey, we are focusing on our rapidly growing custom client business. Our custom work is supported and housed in our Camp Washington workshop, the optimal location to provide our customers with the best possible service and product. As a result of these changes, Brush Factory home is now closed. Please contact us at info@brushmanufactory.com for any questions or concerns.